Update 4 sept 2015: Latest version is currently 401. Version 400 had an issue with the virtual switch/ignore ac input, fixed in version 401. The new version will be introduced in production in the coming weeks. As soon as the existing stock has been sold, our Multis and Quattros will be shipped with firmware Version 400 installed which can then be used with Assistants out of the box. This means that the first models with 400 will be shipped to customers within a few months. Other models, with more stock compared to the monthly shipped quantity might take longer. In the beginning, many, many years ago, our Multis were already quite flexible in their configuration. Battery type, output frequency and much more could be configured with VEConfigure, the PC application. But we wanted more and quite early on we added the ‘Virtual Switch’. A configurable potential free contact that can, for example, be used to automatically start and stop a generator based on the battery state of charge and AC load. 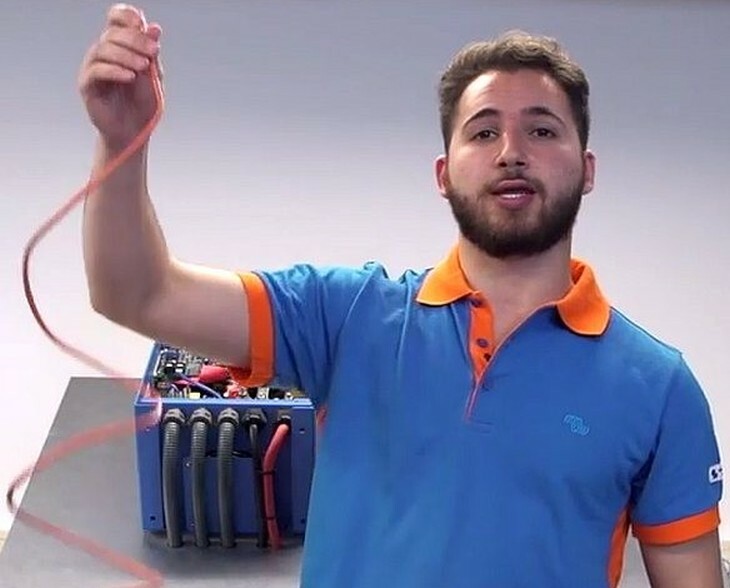 Besides controlling the potential free contact it is also possible to control the behaviour of the inverter/charger, for example force it to inverter mode in certain conditions. The Virtual Switch was, and still is, a huge selling point to choose and use our inverter/chargers. Several years back we wanted to do even more but the Virtual Switch could no longer do all that we wanted. This is why we came up with the `Assistants`. A very powerful mechanism that added more flexibility and control. Used for self-consumption systems, and also for many other more complex installations, the Assistants often reduce the cost and complexity because they eliminate the need to add an external PLC or another control device. One drawback though: to use Assistants, one had to change the firmware in the unit. And that is where technical names came in: 1xx firmware versions were used for Virtual Switch, and 2xx firmware versions were used for Assistants. There is even a whole document, to explain about all the different firmware types and when to use which one: VE.Bus firmware versions explained. 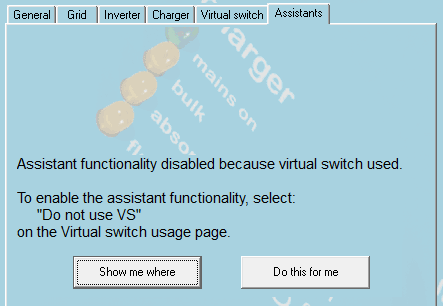 Quite powerful, though complex to explain, understand and a lot of hassle when you want to change a configuration from Virtual Switch to Assistants. This complexity detailed above is now solved and improved in version 400, as both options are possible in the same firmware. Therefore we can use it in manufacturing and as a consequence save a lot of time during installations, as it is no longer necessary to always use VEFlash for installations that require Assistants. For new installations, one can forget all about 1xx, 2xx and 3xx: only 4xx firmwares will be used. Note that most of the advantages will only become apparent once we start shipping our products with firmware version 400. Victron Global Remote and Victron Ethernet Remote are compatible, but the MK2 used does need an upgrade. See this document for instructions. There are three Assistants that need an update before they can be used on 400 firmware versions: the PV Inverter Assistant, the VE.Bus BMS Assistant and the Lynx Ion BMS Assistant. These will be ready next week. After that there are no reasons left to revert to the 2xx firmware, other than when working with older systems having the old microprocessor. So to conclude this rather lengthy text, version 400 is a good step out of what I have jokingly called our ‘firmware swamp’. And it is part of a larger process to simplify easy of use and configuration of our products, without having to sacrifice the enormous flexibility we can offer.